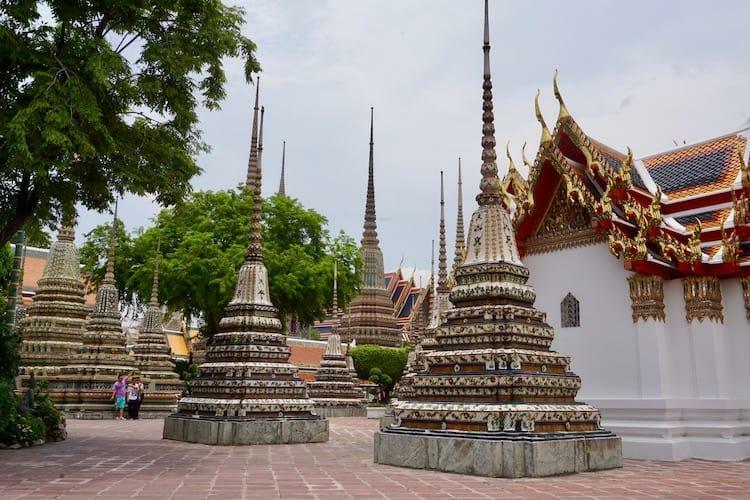 After a week in Bangkok, we had decided to move on and get out of the city. 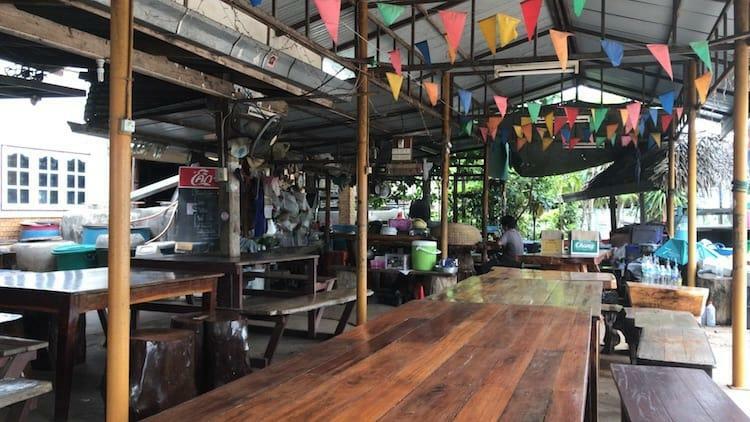 Our initial plan was to head straight up to Chiang Mai via Ayutthaya, but after reading about Khao Yai National Park and the fantastic Greenleaf Guesthouse and Tour we decided to head out to the jungle instead! 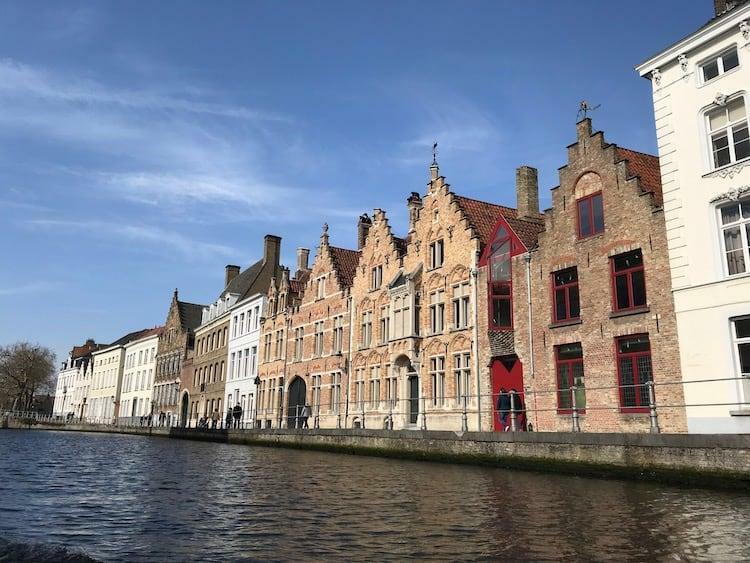 I have written a number of posts about our time with Greenleaf Guesthouse, to see them all, click below. 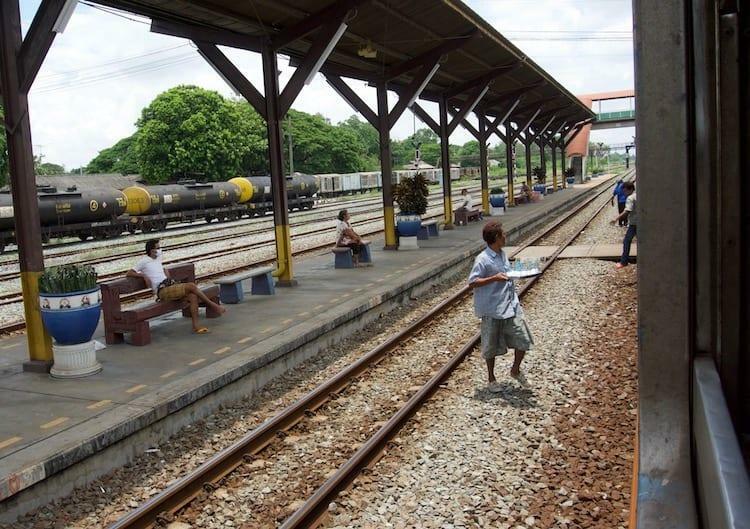 This was our first time using the trains in Thailand, so we were a little nervous, but we had no need to be! 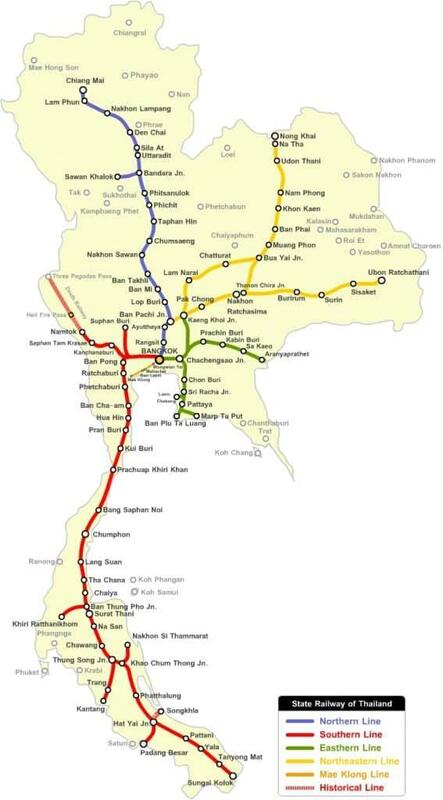 We had decided on the 1009 train as we needed to be in Pak Chong at around 1400 so we could be on the Greenleaf Half Day Tour that started at 1500. 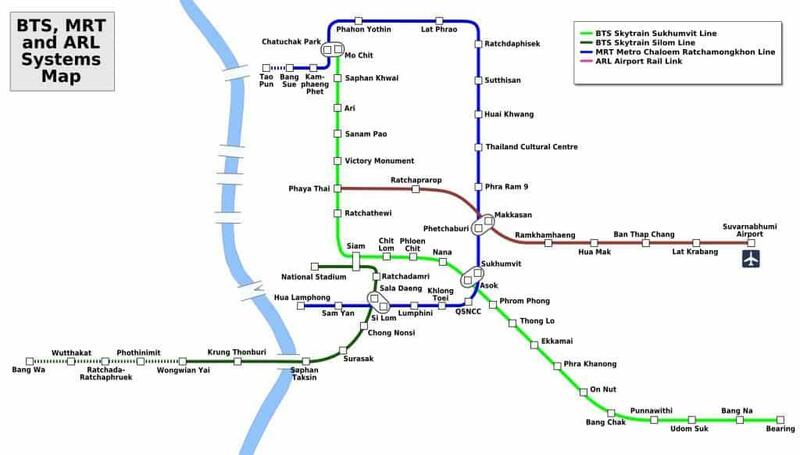 The trains leave from Hua Lamphong station in Bangkok, which is easily accessible by taxi, or it has its own metro station if you are near one of the other stops on the line (perfect if you are staying in the Lumphini Park area. Here is a guide to the train times. The journey is just under four hours. It was really easy to buy a ticket. The guy at the counter spoke perfect English, booked us on to the 1009 train, and told us exactly which platform to go to. The cost was 186฿ per person, less than we paid for the taxi ride to the station itself! Because this journey is relatively long, you are allocated seats. The ticket that prints off tells you exactly which carriage and seat you are in. The only challenge is working out where you carriage will be on the platform, but the train arrived with enough time to walk down and find the right place. The train left perfectly on time. As you can see from this photo, there is space above the seats for bags, which was more than big enough for a 50 litre rucksack. There is no air-conditioning, but the windows open fully, and a good breeze moves through the carriage when the train is moving. There are sellers who walk up and down the carriages selling everything from bottled water and pop to cooked food similar to what you’d find on the street food stalls in Bangkok. The seats are not the most comfortable, but the were good enough for this four hour journey. 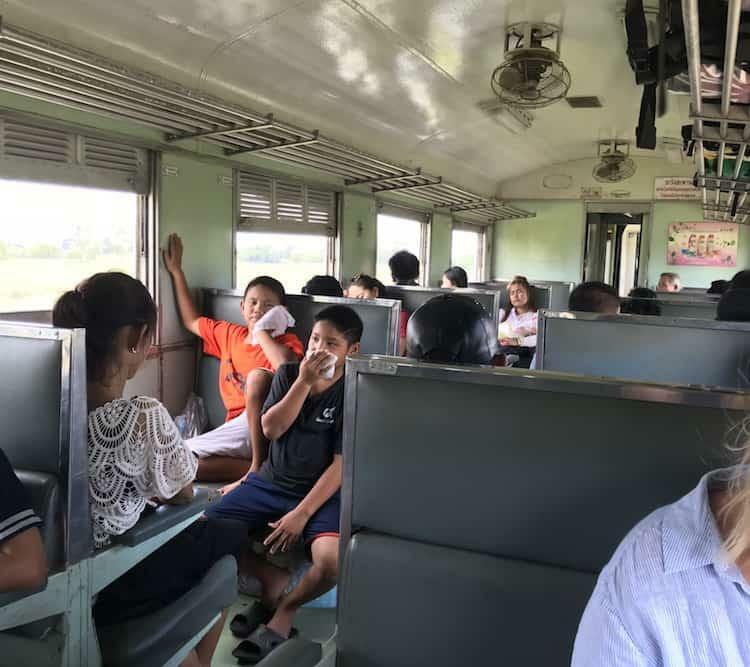 It is a bit of a stop/start journey getting out of Bangkok, as the train has to stop at all the level crossing, but once you get out into the countryside it is a stunning journey. The closer you get to Pak Chong, the better the views out into the countryside are, especially when the train hauls itself up into the mountains. It stops at a number of beautiful little stations along the way, with more sellers trying to sell small products such as ice-creams through the windows. 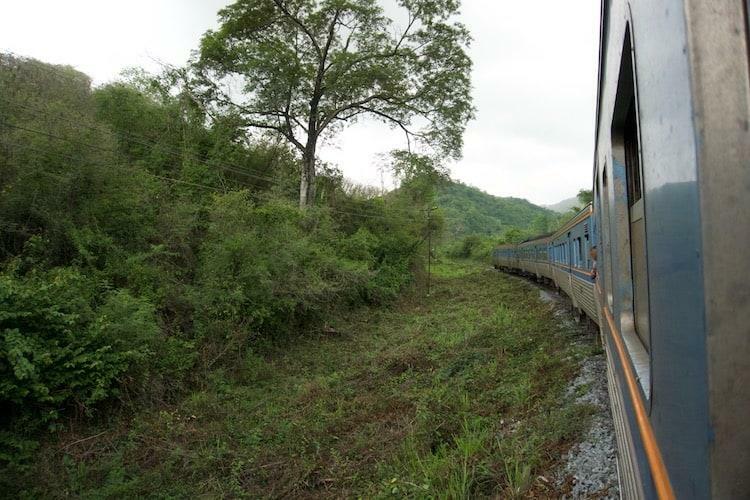 We arrived at Pak-Chong station at about 1340, so the train was actually a bit quicker than scheduled! We had emailed Greenleaf Guesthouse to tell them which train we were on, and, as promised, there was a lovely lady waiting for us at the station. It was easy to find her in the company branded t-shirt! She took us out to the car park, where we hopped in the back of a pickup truck. This really felt like the start of an adventure! We were taken from Pak Chong over to the Guesthouse, which was about a half hour trip. Once we arrived there was time for some lunch before the half day tour we had booked for the evening. The food at Greenleaf is superb, all cooked by hand in the kitchen right beside the outside eating area. The fried rice became our go to favourite, but you also have to try either the green or red Thai curry for a main meal. Yum! 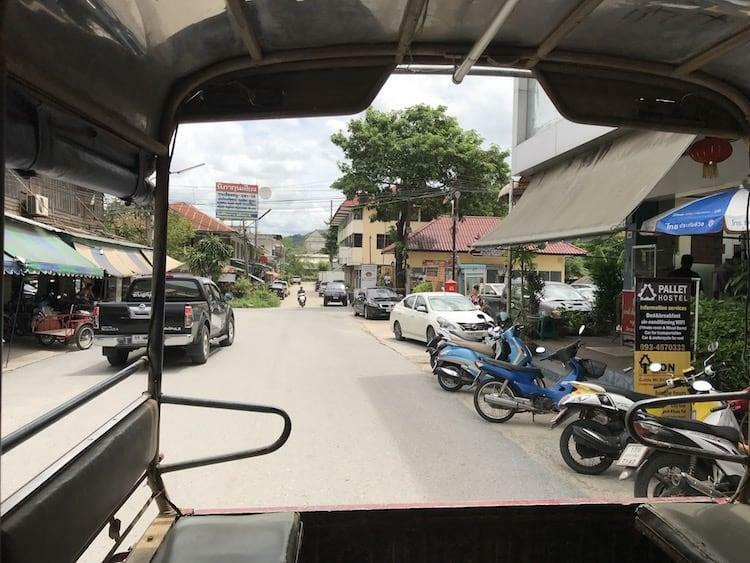 The travel to Pak Chong and the guesthouse had gone to plan, now time to start our adventure into the surrounding area…. Next Post Greenleaf Guesthouse Pt2: Half Day Tour to see Bat Caves!